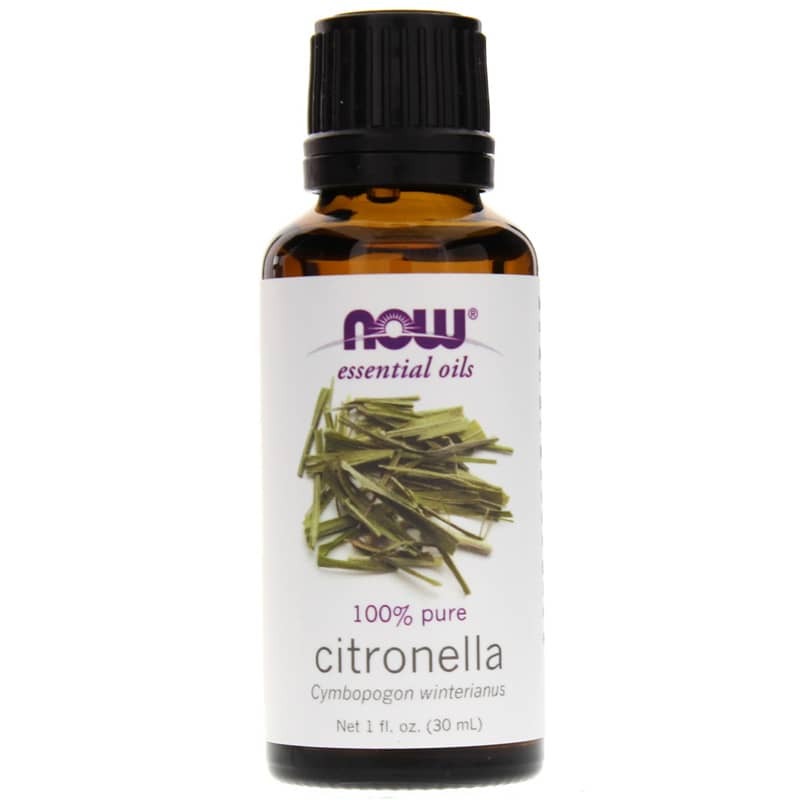 Citronella Oil by NOW is an aromatherapy essential oil that has an unmistakably strong aroma that hints of citrus, and is reminiscent of summer evenings on the patio. Citronella can be found in many soaps, shampoos and lotions. It is most commonly known as a natural insect deterrent. 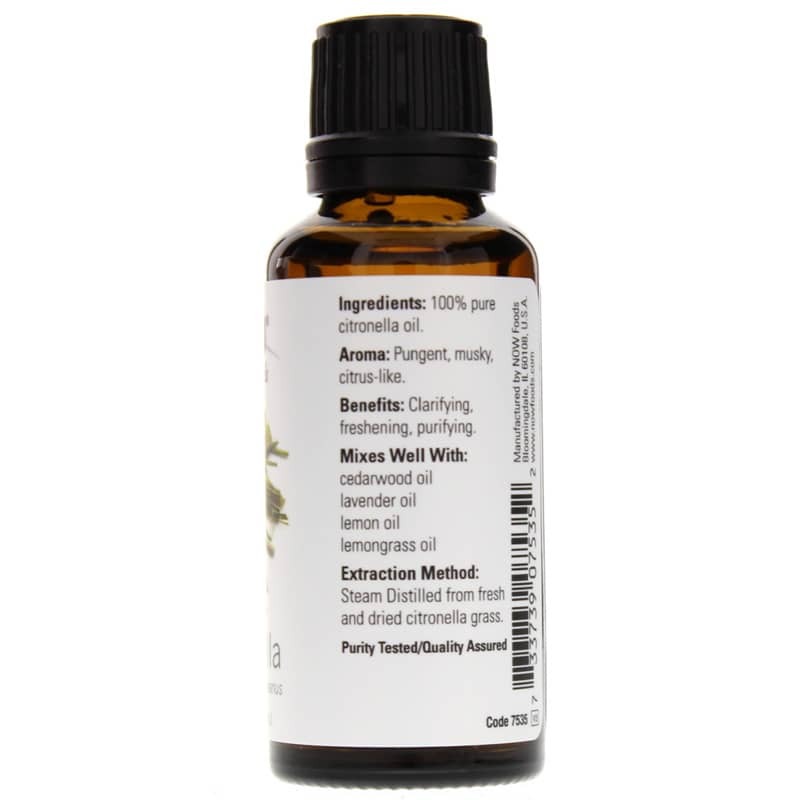 Mixes well with: cedarwood, eucalyptus, geranium, lavender, lemon, lime, oregano, pennyroyal, pine, rosemary, orange, and tea tree. Always dilute before any use other than aromatherapy. Keep out of reach of children. Avoid contact with eyes. Do not use if you are pregnant. Natural essential oils are highly concentrated and should be used with care.